How does one create the perfect makeup vanity? Well there are few essentials that you will need and I have a list to help you along the way. This is a must of course. 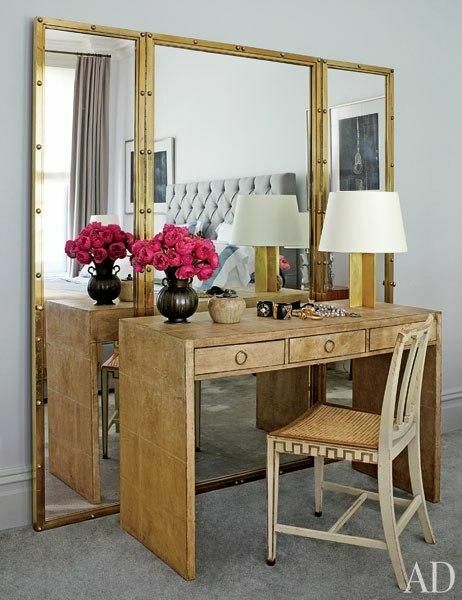 Whether deciding to go vintage, modern or contemporary your makeup table should speak to you. This ultimately is the most important piece of furniture, so choose wisely. Make sure the size is perfect for what you need when getting dressed and ready for your day. You do not need a table/desk that lacks space because it will not be functional. Also take in consideration the amount of storage you would like you table/desk to have when choosing the perfect piece that fits you. 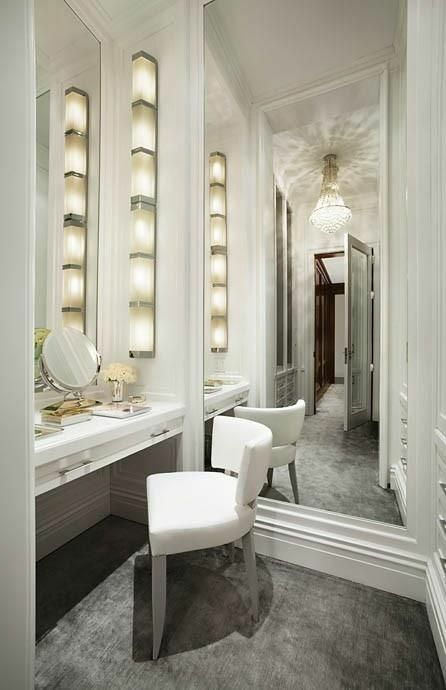 If you are one who spends 10 to 15 minutes applying your makeup then a vanity stool or bench might work out perfectly for you. On the other hand, if you need a bit more time (like myself) then you might want to gravitate towards a chair with a back. 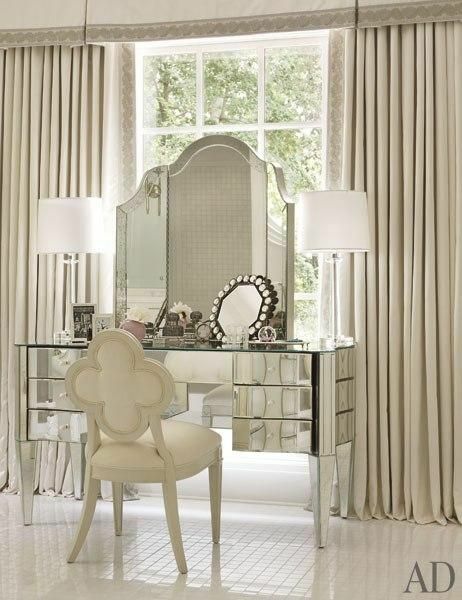 Dining chairs tend to be great when pairing with your vanity table. Now you have to be able see what you’re doing. Without a mirror who knows how things would turn out…lol! 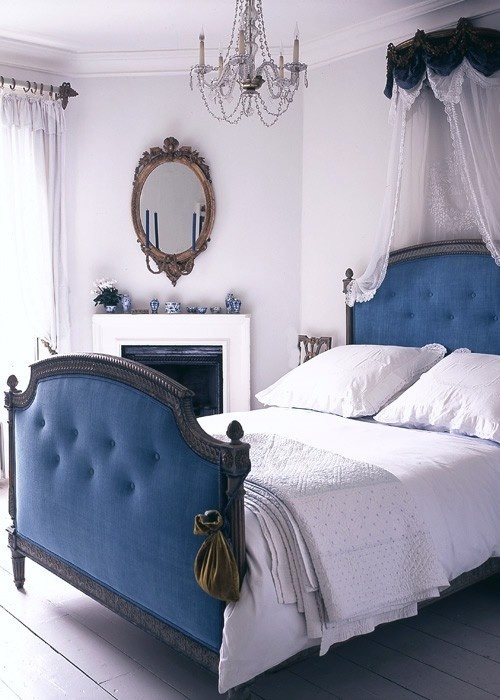 When picking out your mirror think about whether you require it to be stationary or if you would prefer hanging your mirror. 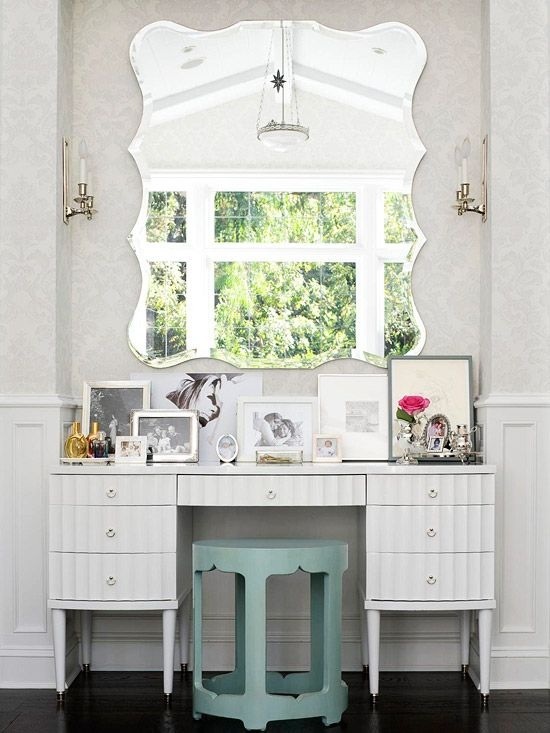 Hanging a mirror gives you the option to make changes to your makeup space and give it a different look more easily. 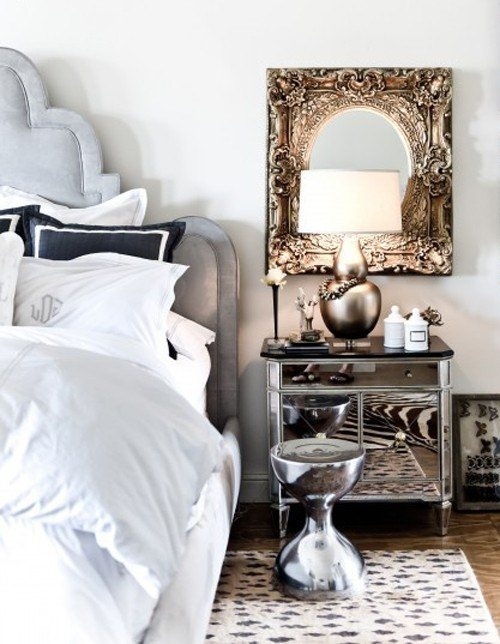 Also keep in mind the proportion of your mirror to your table. It should be in perfect balance when pairing the two together. The last detail I would say is adding accessories. 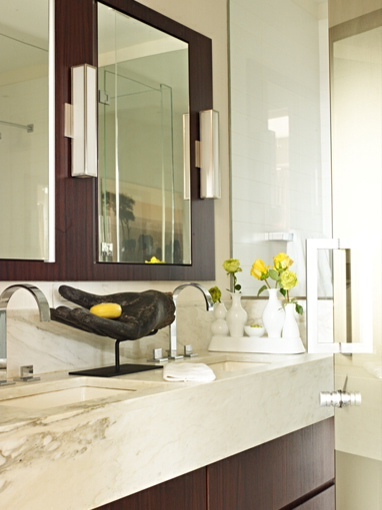 Placing your beautiful accessories will create the ultimate space for you. Allowing you to look forward to getting dressed in the morning. You can use all kinds of beautiful trays, jewelry stands or boxes that will not only display your makeup necessities but also contain them. Also adding your favorite perfume bottles so that they are readily accessible would be both functional and beautiful. 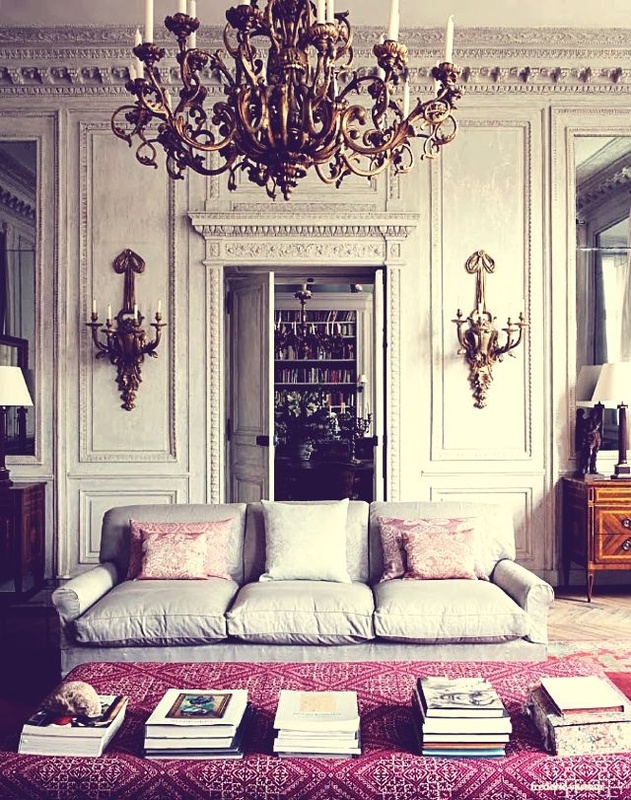 Remember in creating this wonderful space choose your furniture and décor wisely. You want this space to be lovely and make a statement. 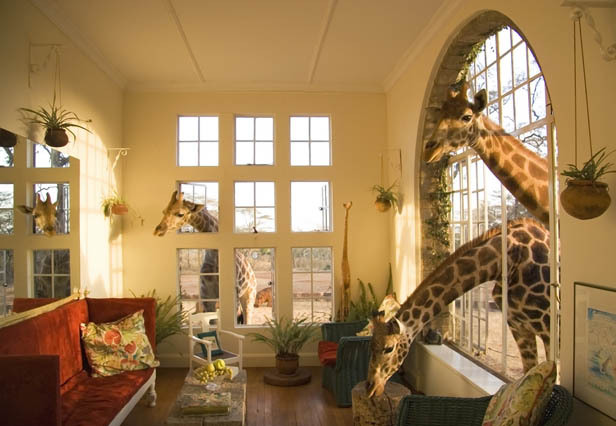 While searching for ideas for my next vacation, I came across this wonderful place called Giraffe Manor. 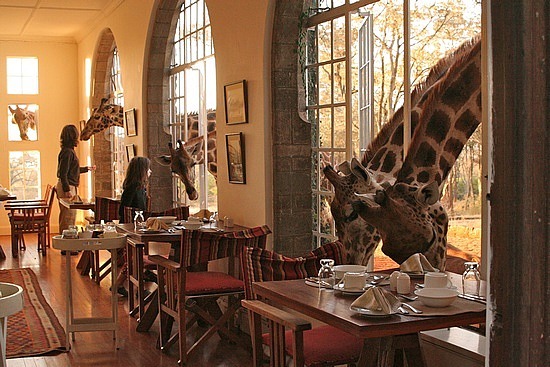 Located in the Karen Suburbs of Nairobi, Kenya Giraffe Manor peaked my interests of a place I need to go visit. 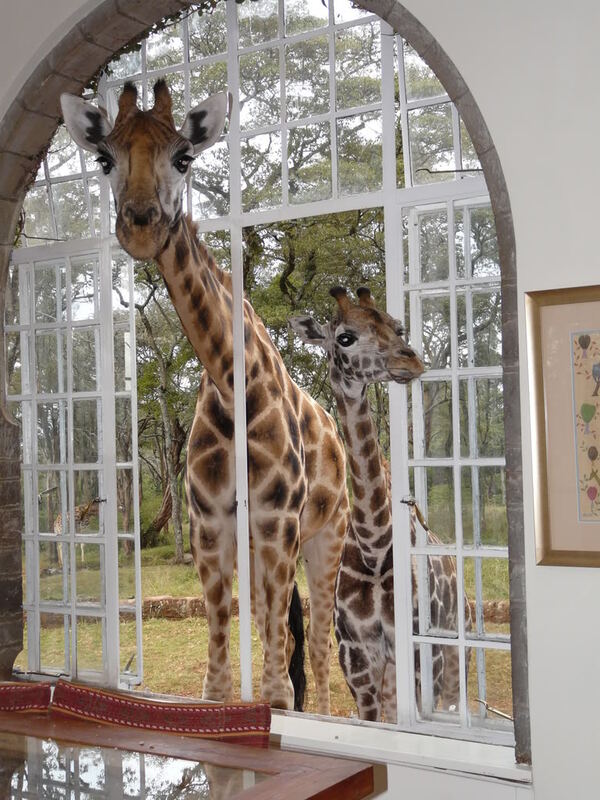 This boutique hotel is surrounded by beautiful Rothschild giraffes and is the breeding center for this endangered species. 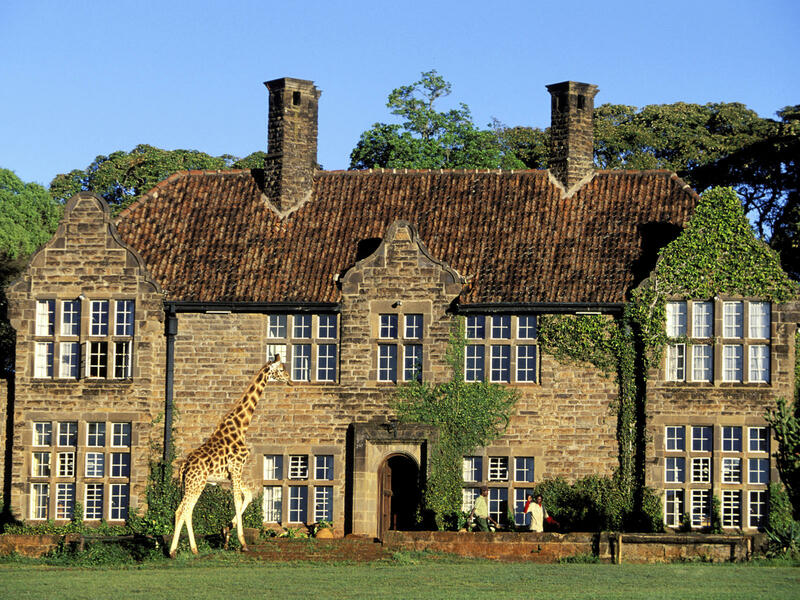 Constructed in 1932 by Sir David Duncan, Giraffe Manor is a sweet retreat where all the proceeds raised goes to AFEW (African Fund for Endangered Wildlife). 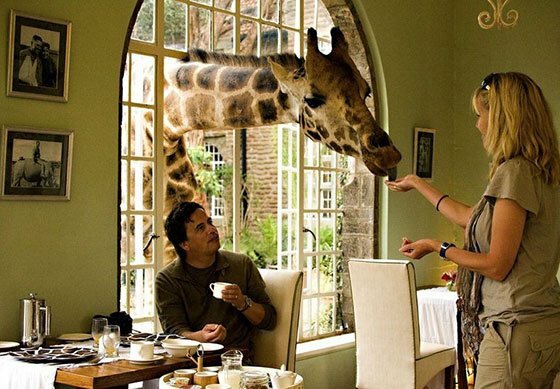 You can mix and mingle with a few unusual guests who tend to join the party for breakfast and dinner. 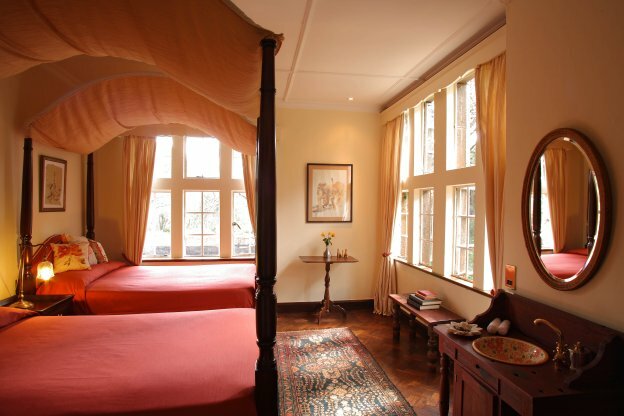 Along with the surrounding wonders Giraffe Manor is beautifully designed. 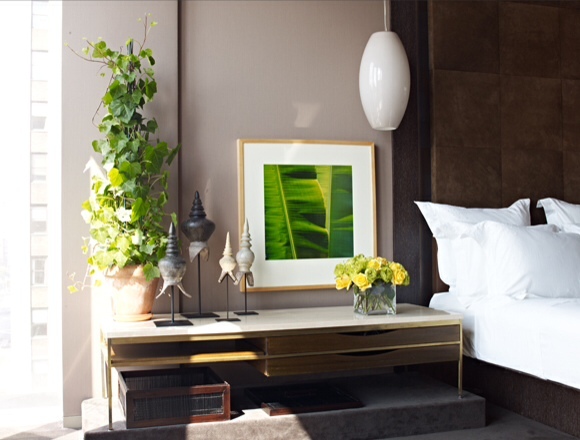 Both warm and inviting the décor in this boutique hotel reflects both traditional and modern design. 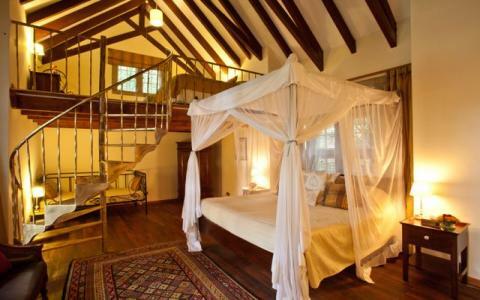 Making its guests feel rather comfortable. Do you think this is a place you might want to visit? Take a look and tell me what you think. 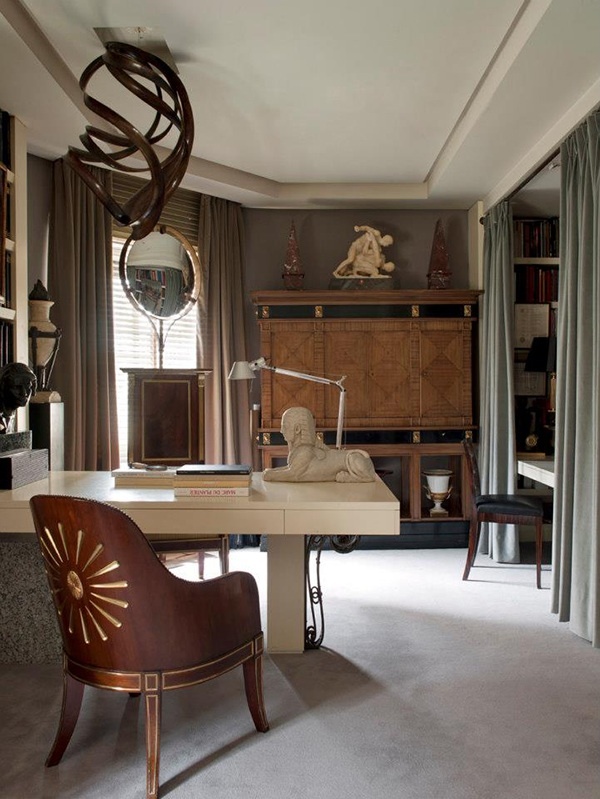 While surfing the internet for some design inspiration I came across interior designer Vincente Wolf. I have come across his work before but for some reason have been a bit more intrigued most recently. 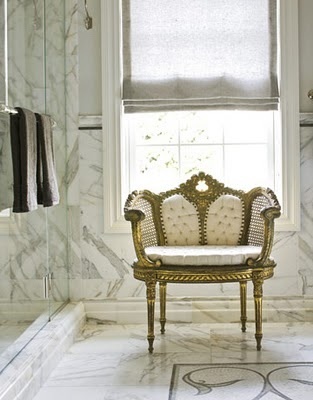 His style reflects a very clean and simple sense of design. You could say he is the “Master of the Minimal.” That being said even though his interiors are simple they do not lack impact. 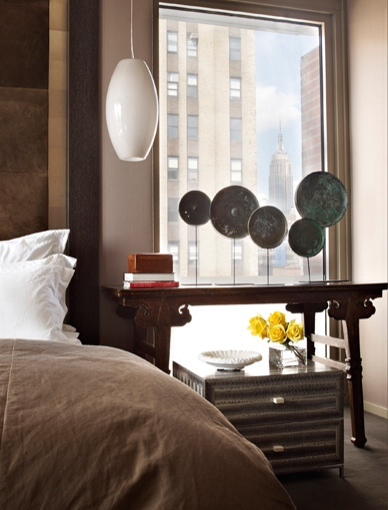 Vincente Wolf’s interiors seem to tie in minimalism and luxury, all the while maintaining a sense of comfort. 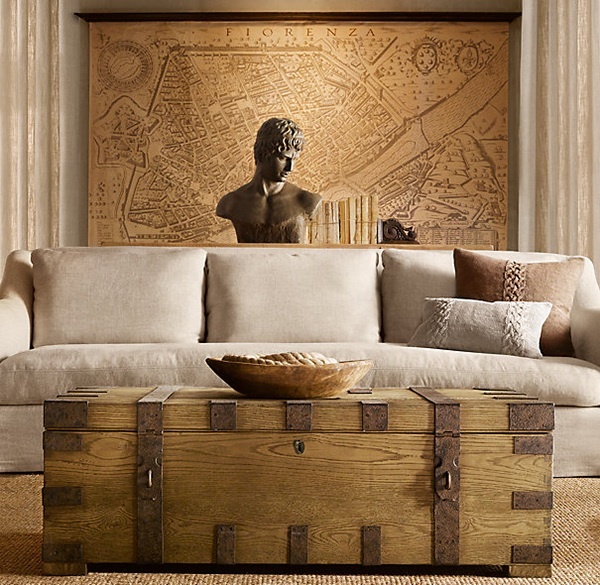 He incorporates one-of-a-kind pieces from all over the world to create an amazing composition within a home. His design style is quite different from my own but I admire his talent of constraint. 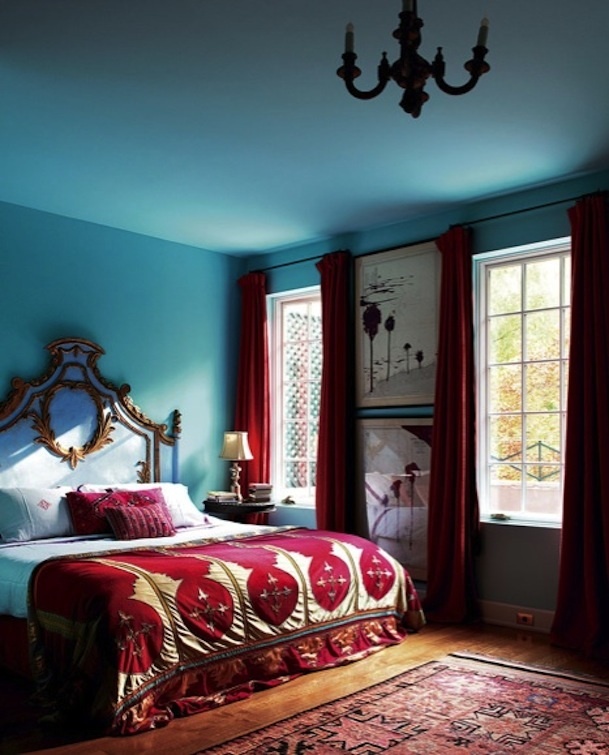 He is able to show great discipline through his use of color palette, furniture placement and choice of textiles in his designs. Check out some of his work below. 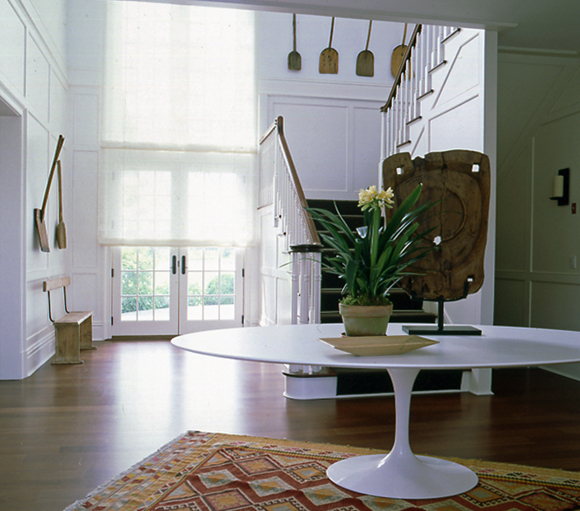 The world can get oh, so chaotic and it is important to create a space that is peaceful and serene. That being said I am absolutely one who loves her beauty sleep, especially after a hard days work. It is important for me to be able to come home and have a relaxing space where I can unwind from the day. 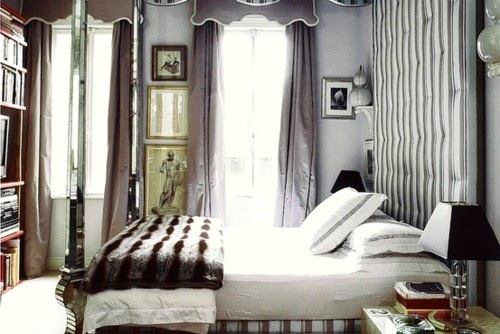 That place for me would be my bedroom. 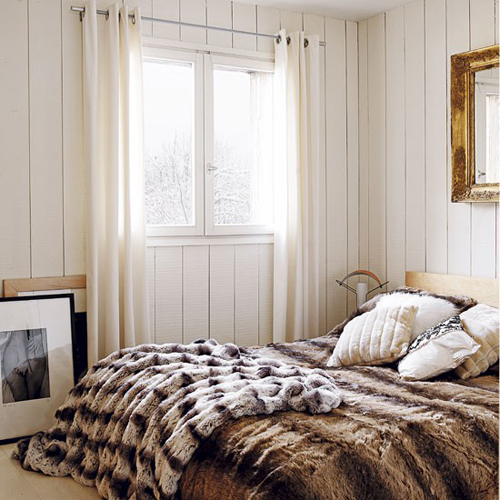 A bedroom should be all about comfort. Like I said before, the bedroom is a place to unwind and just relax. 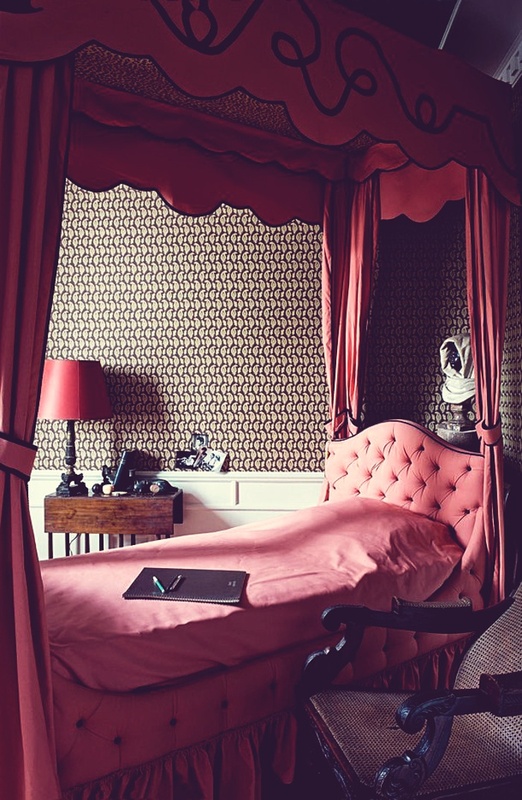 When designing a bedroom ultimately a bed is required but don’t stop there. 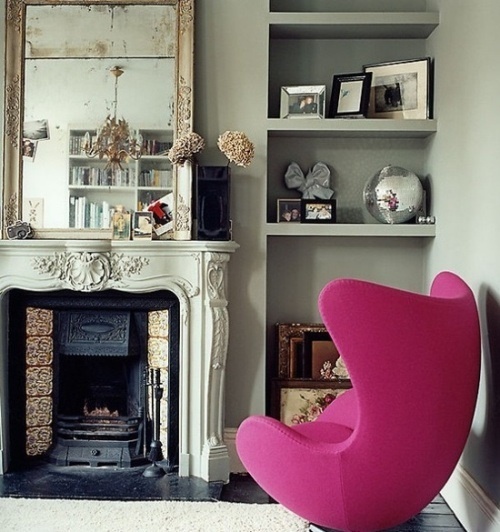 Adding a comfortable sitting area adds another element in the room in which you can decompress. 1. Add plush, soft fabrics where ever possible. 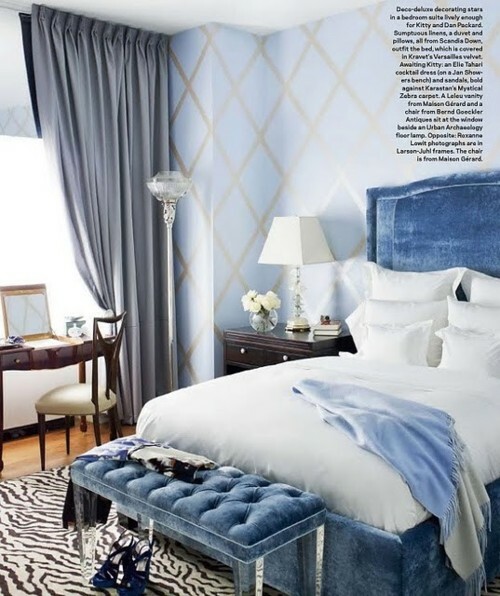 Think linen or silk bed linens, faux fur throws and velvet upholstered furniture. 2. 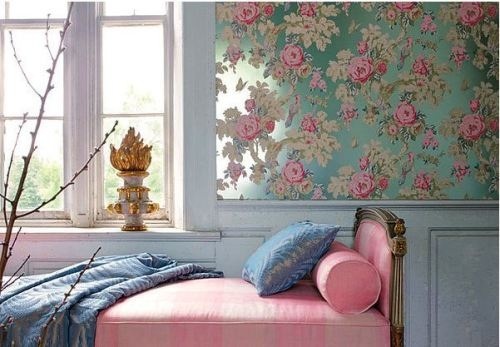 Use a soothing color palette. 3. Add candles preferably unscented. 4.Get rid of the office desk and chair. No need to think of work before bed. It will surely be there in the morning when you wake up. 5. Remove the TV and exercise equipment. 6. Scale is key to create harmony. 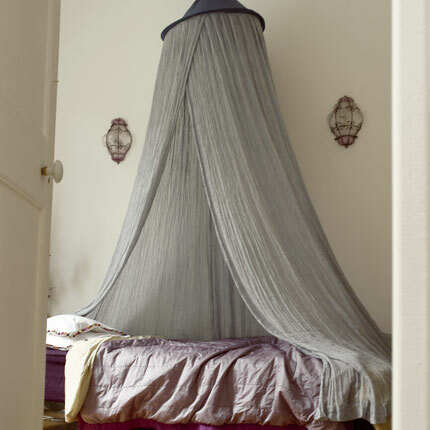 Take notice of the size of your bed and other pieces of furniture to ensure everything fits perfectly. Keep in mind to make choices that make the biggest impact. 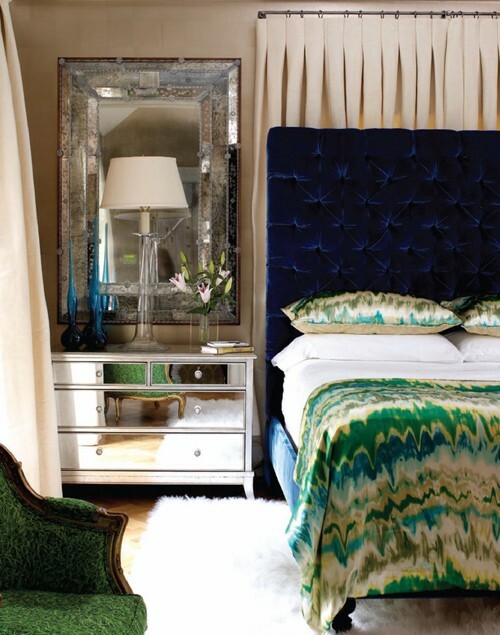 Take a look at some bedroom spaces and be inspired! 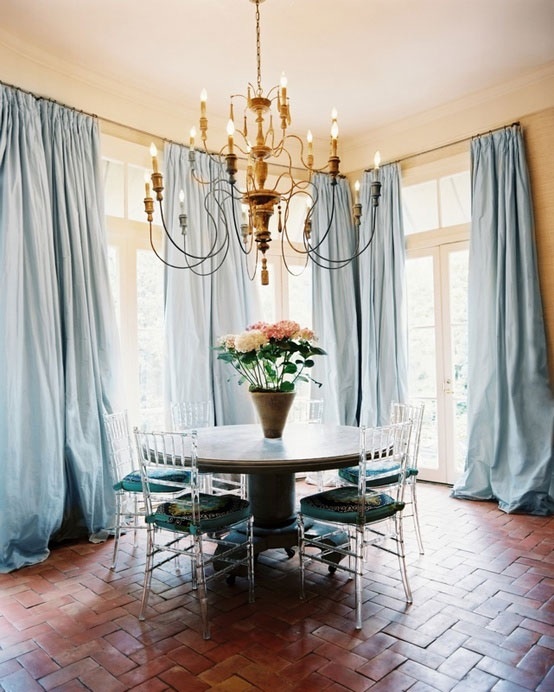 An old classic is resurging in interior design for 2014. 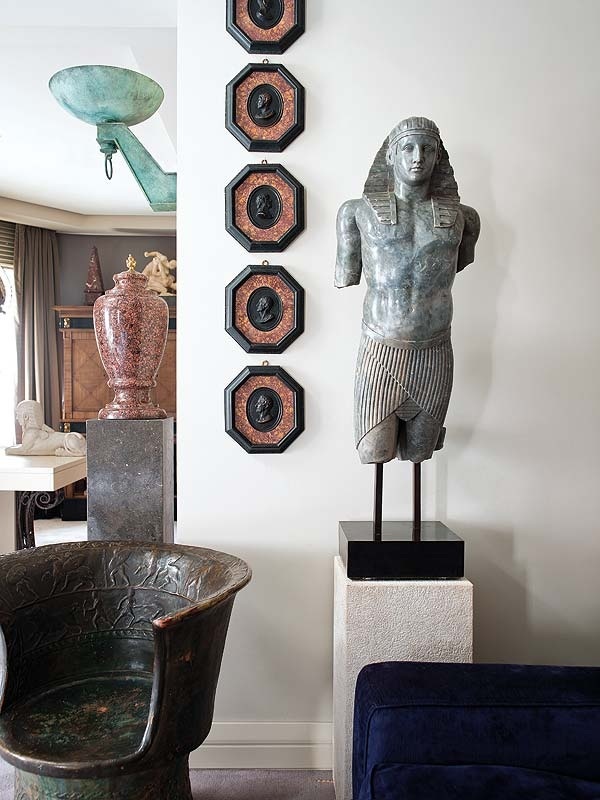 Statues, sculptures and busts oh my! 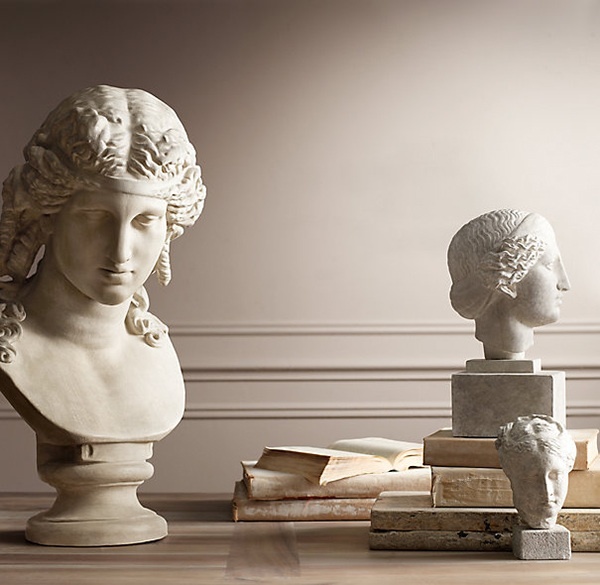 Just the other day I went to Home Goods and saw a whole display table dedicated to Greece and Roman sculpture. 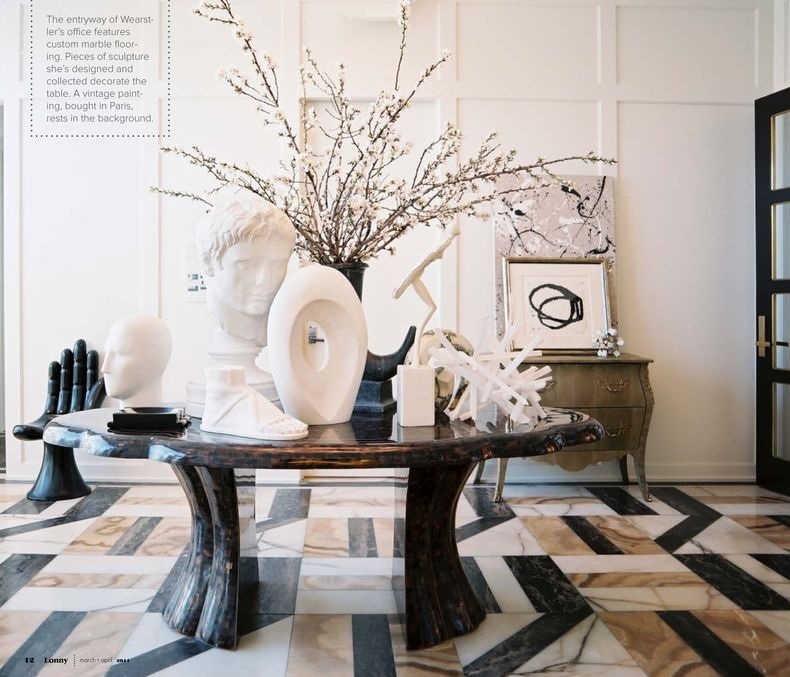 Even in magazines you can find a bust or sculpture inspired by classics everywhere. Just wait you will notice it soon. 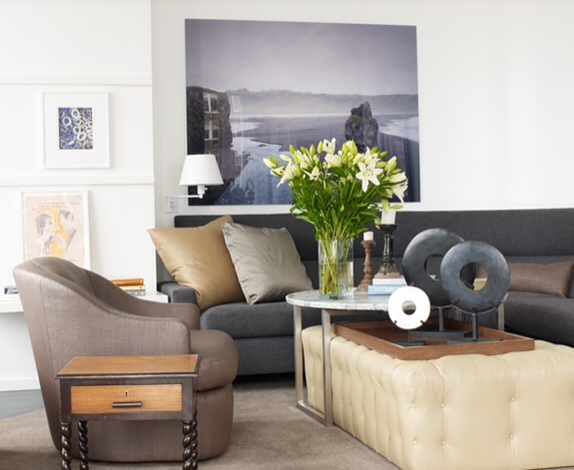 This new trend is a great way to add art to your home in a 3 dimensionally way. 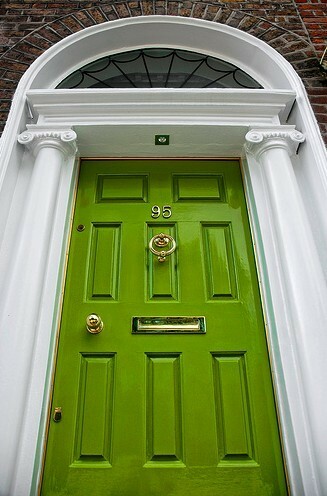 Do you think this is a trend you would incorporate in your own home? 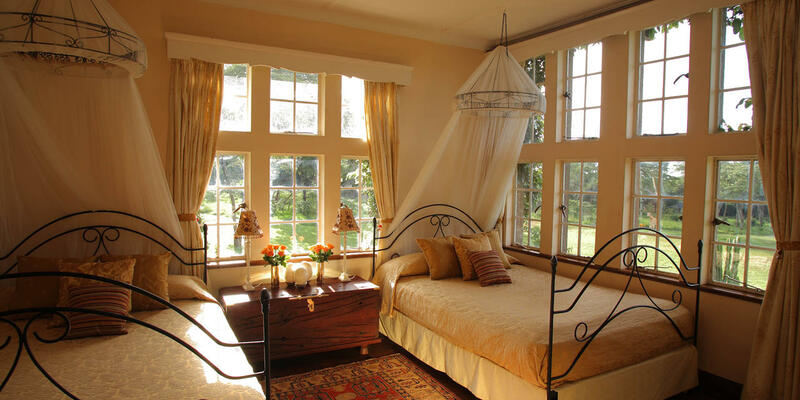 Take a look below for a few decor ideas.